Several extra experiences are available, for agents who choose an extra challenge. 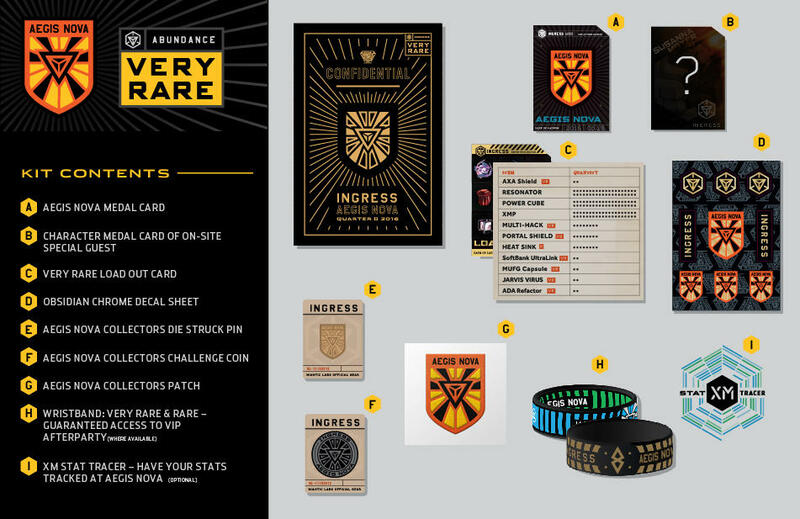 Rules will be linked here when available. 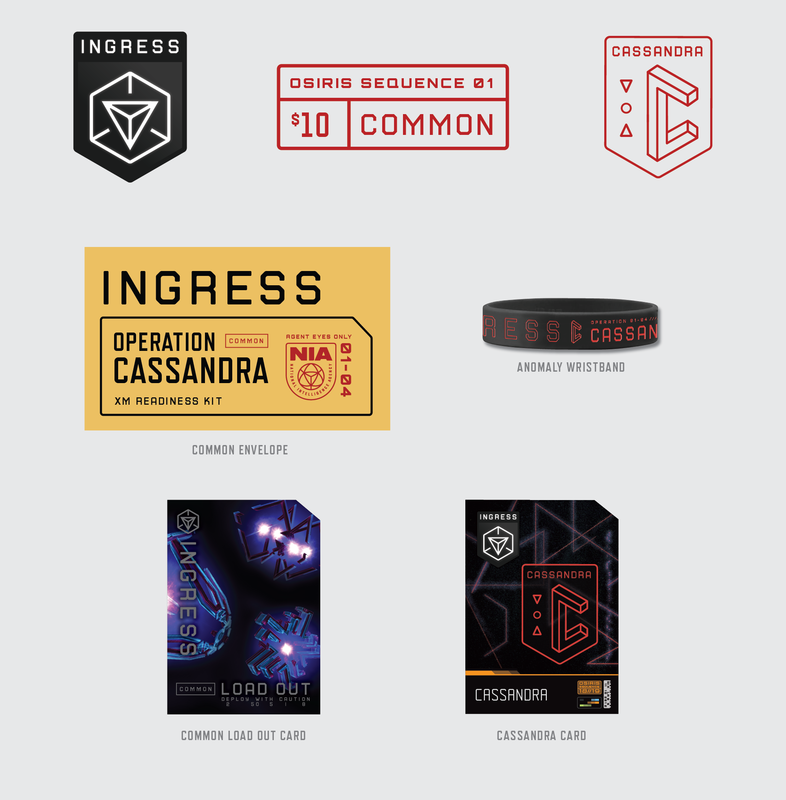 Participate in Cassandra Prime Anomaly. 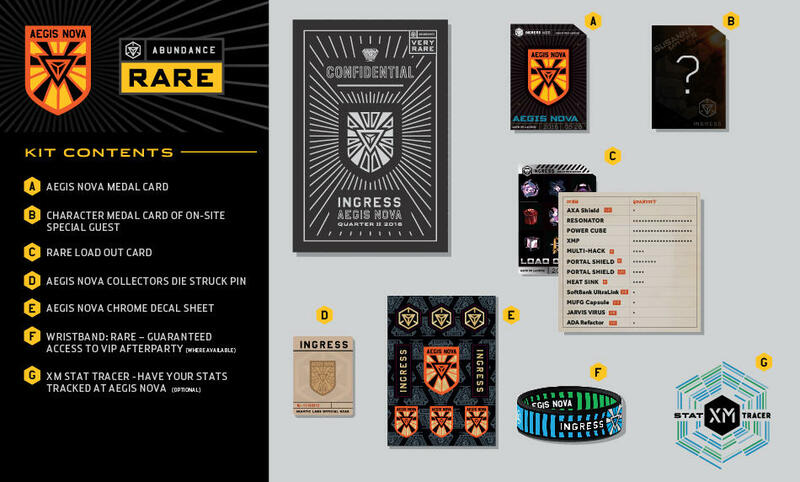 A Cassandra Prime event card, a common loadout card, and a Cassandra Prime wristband. 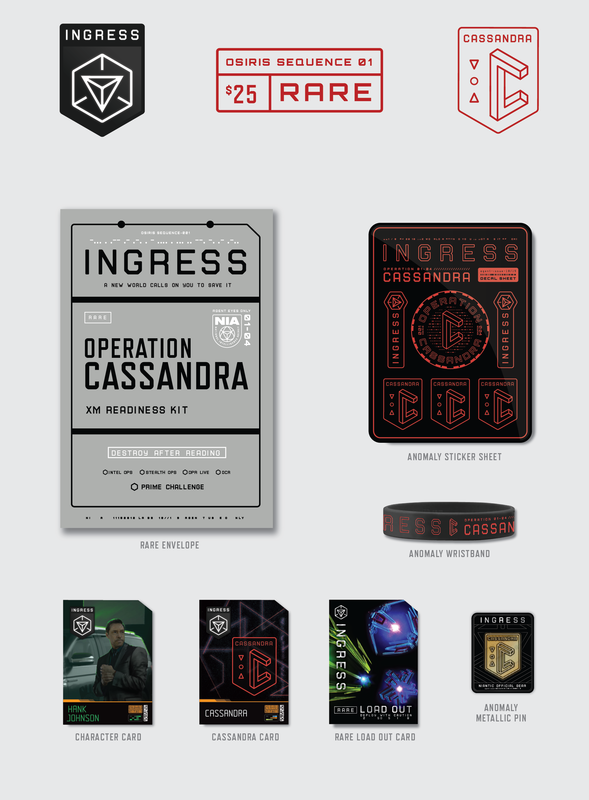 A Cassandra Prime event card, a rare loadout card, an Ingress character card, a Cassandra Prime pin, a Cassandra Prime sticker sheet, and a Cassandra Prime wristband. 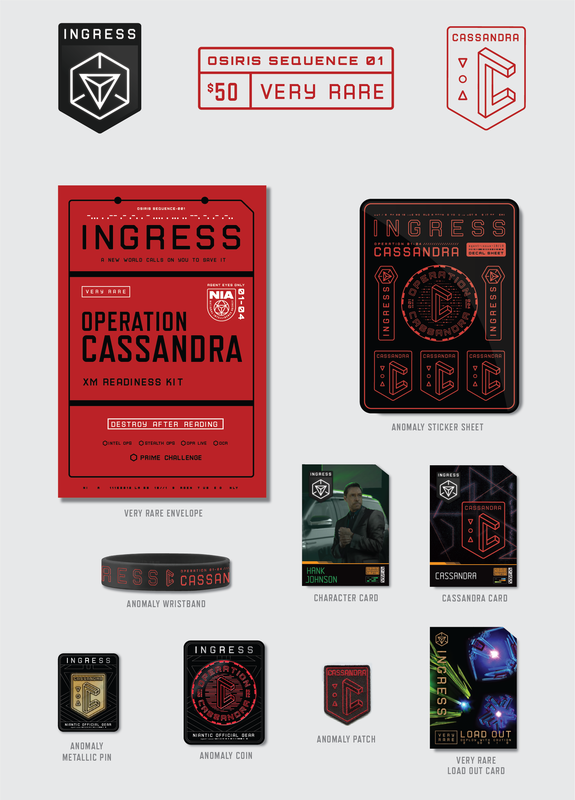 A Cassandra Prime event card, a very rare loadout card, an Ingress character card, a Cassandra Prime pin, a Cassandra Prime sticker sheet, a Cassandra Prime wristband, a Cassandra Prime collector's patch, and a Cassandra Prime collector's challenge coin.